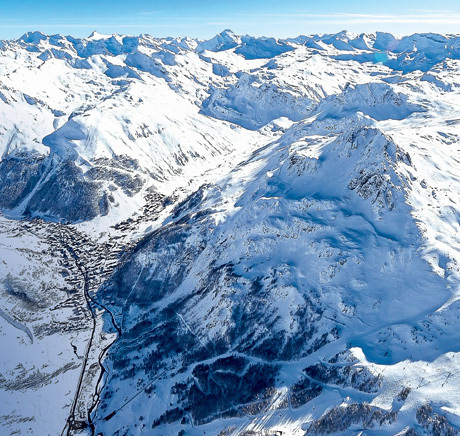 Val d’Isère offers truly outstanding freeride opportunities. Right from the opening day in November you’ll be able to find untracked virgin slopes. The exceptional snow cover is due to its favourable geographical location and the unique retour d’est micro-climate and the high altitude of the ski area. Skiing off-piste allows you to escape far from the madding crowd to a place where you can drink in the might majesty of the surrounding peaks. Freeride is not just a physical activity, it’s also a state of mind. Regardless of whether you’re a skier, snowboarder, or ski tourer, you’re going to have a ball exploring the region. The best times for off-piste can be found at various stages of the season. It’s dependent to some extent on the lie of the land as well as the snowfall. 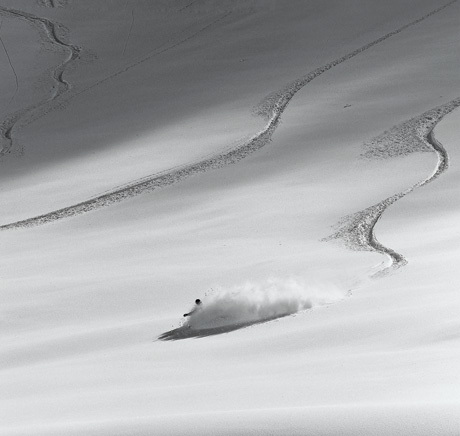 You’ll find deep powder in January and spring snow conditions in March and April. Both offer some remarkable opportunities away from the marked runs. Do think carefully about whether you’d like to explore the slopes with a mountain professional. He or she will find you the best snow in region, while making you aware of the risks of skiing off the beaten track on slopes that are ungroomed and not managed by the ski patrol. It’s absolutely essential to follow basic security rules, to carry the right safety gear and know how to use it, as well as being aware of the weather forcecast and the current avalanche risk. It’s a love story between man and mountain, a breathtaking encounter in a 10,000-hectare playground covered in untracked snow. It’s a love story between Man and mountain, a breathtaking encounter in a 10,000-hectare playground covered in untracked snow."